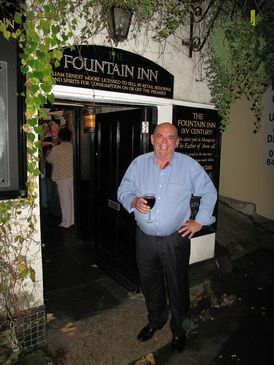 The Fountain Inn was one of the first Inns to be purchased by Walter Hicks, the founder of St.Austell Brewery, in 1883 for the princely sum of �0. 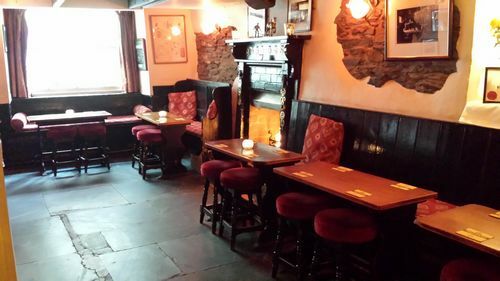 The Fountain Inn is a 15th century Inn and is situated at the foot of Cliff Street by Shilly Ally 'Op and is believed to stand on the site of the first recorded settlement of Mevagissey which was then known as Porthilly. 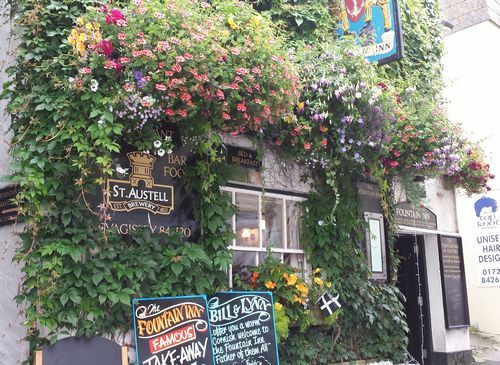 Mevagissey once boasted 20 Inns, Taverns and Ale Houses, but the Fountain Inn is known as the 'Father of them all' as it is the oldest public house in the village. The Fountain Inn has two bars - the 'Smugglers Bar' with its tales of smuggling illicit rum and brandy shows evidence of when it was used as a pilchard press in the 18th and 19th centuries. The large illuminated pit in the floor was used to collect the precious fish oil, and hide Smugglers contraband, whilst the holes in the walls held the beams for the presses. For sports fans the bar boasts a large flat HD screen TV showing a comprehensive SKY and BT Sports programme. Step back in time in the front bar which has been slightly altered over the years, but the oak beams, slate floor and fireplace are all original. A real log fire will welcome you on a chilly winter day. 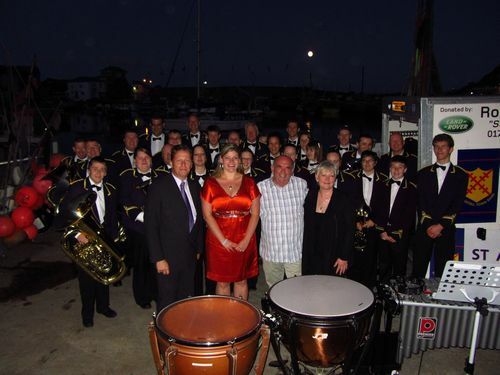 Throughout the year on Monday evenings members of the Mevagissey Male Choir can be seen "singing for their supper" in the bar. Singing a selection of Cornish songs, hymns, sea shanties, and their unique versions of more modern classics, a relaxed and informal evening is had by all from approx. 9.30pm. Billy Moore, Lynn and their staff welcome you to the Fountain Inn where a range of cask-conditioned St.Austell Brewery ales are served. We have a small restaurant that is open during the evening serving a selection of the freshest seafood, and Cornish reared steaks. Food is also served in the bars during lunchtime and evenings with a range of prices to suit all pockets. 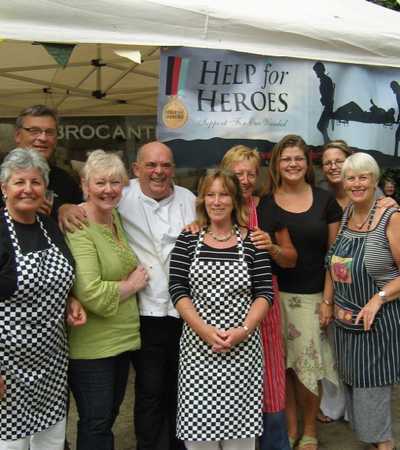 Bill's famous homemade pasties are served on a Saturday lunchtime throughout the winter. Why not try our home cooked Sunday Lunch. A choice of Beef, Pork or Lamb served with roast potatoes, fresh seasonal vegetables, homemade Yorkshire pud and gravy. We also serve Take Away Fish and Chips. You can ring in advance with your order, and we can have it waiting for you. We endeavour to use local produce, and local suppliers for all our meat, fish, fruit and vegetables wherever possible. All our dishes are freshly prepared, and cooked to order. 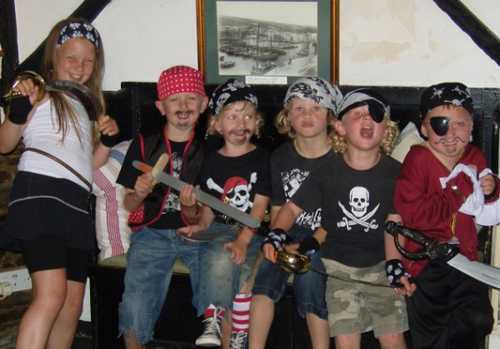 Our bars, and the restaurant, are child friendly with high chairs available on request. Good dogs on a lead welcome. Food is served in the bar from 12 till 2pm Monday to Sunday, and from 6pm till 9pm Monday to Saturday. Why not book a seat in our small Restaurant in the evening. Small parties catered for. We also cater for small functions, weddings, birthdays etc., and would be pleased to provide you with a quote. The Fountain Inn offers Bed and Breakfast too. Two en-suite double rooms ,and one double room with a separate, private, shower and toilet. All rooms have a flat screen television, tea and coffee making facilities, a range of toiletries, and fluffy bath towels. Why not follow us on Facebook, Twitter and Tripadvisor, and keep up-to-date on news and reviews of The Fountain Inn and Mevagissey.